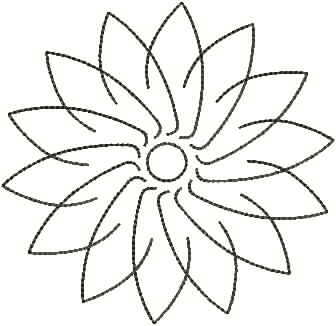 Remember spirograph? 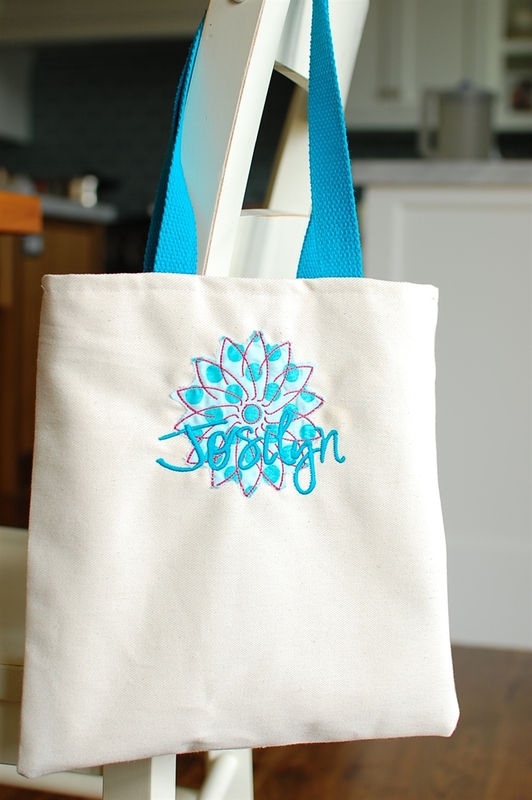 I would doodle with ours for hours. 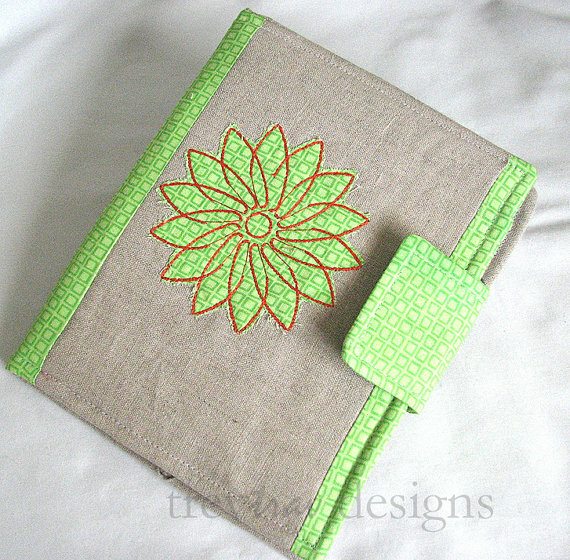 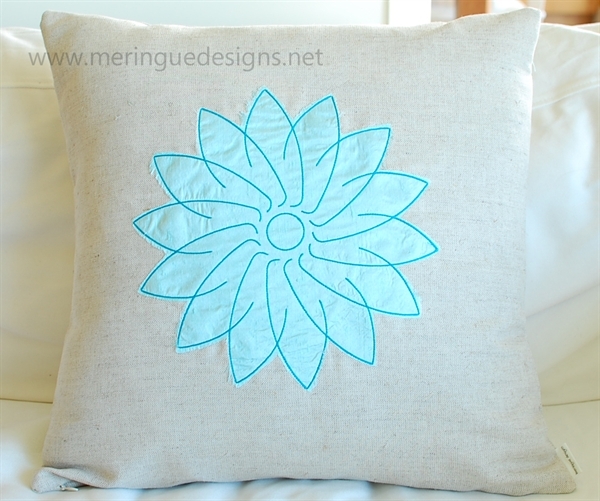 This design is the first in my spirograph series. 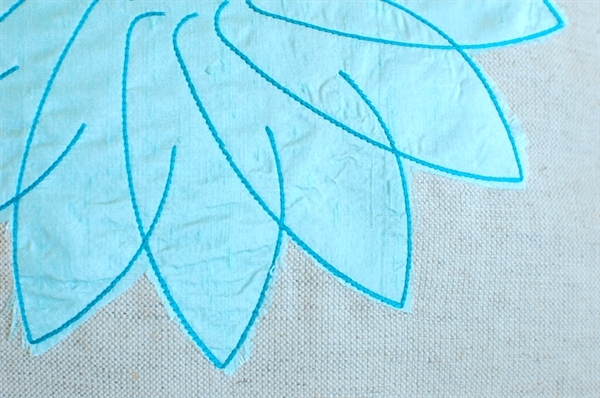 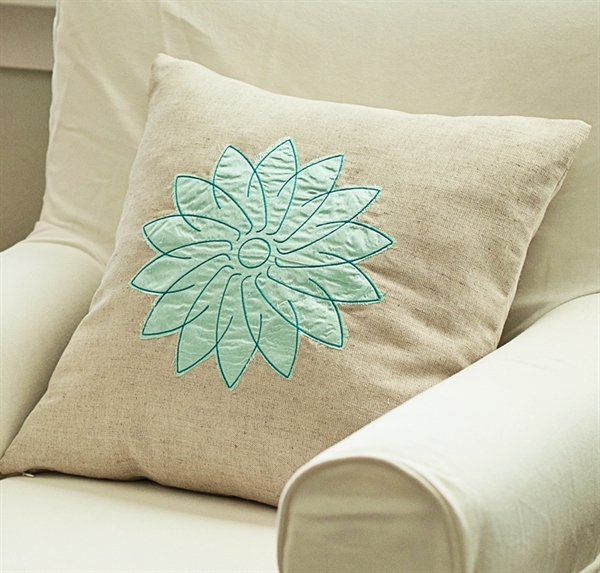 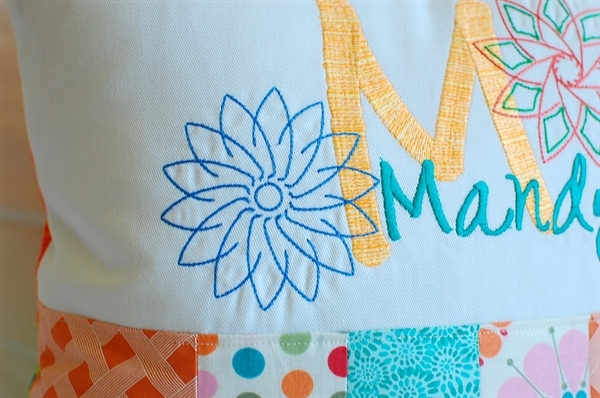 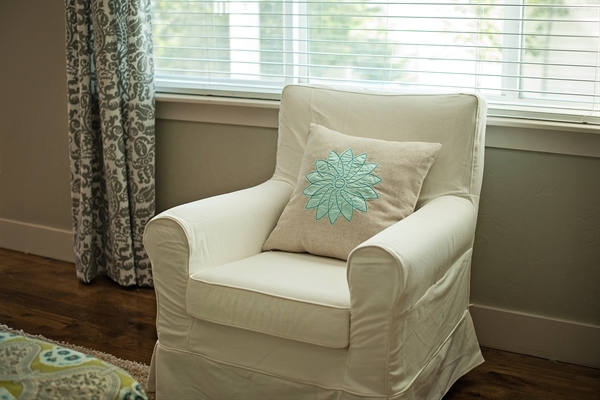 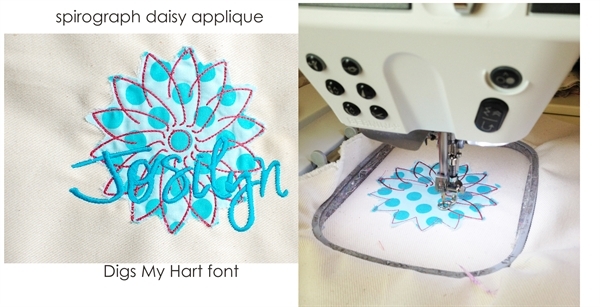 This is a fast and easy design--just an applique of silk and one color of thread! 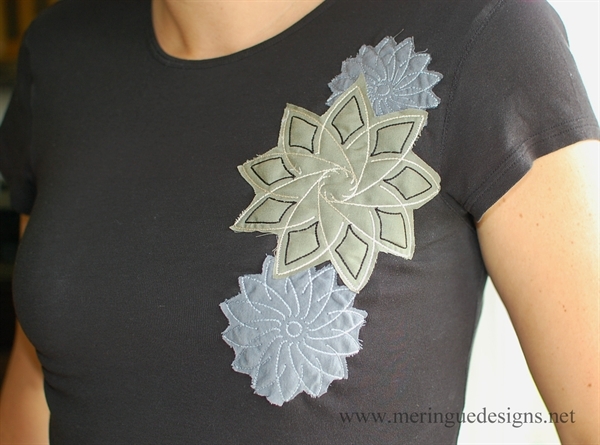 large spirograph daisy applique 5.6"x5.6"
medium spirograph daisy applique 4.8"x4.9"
small spirograph daisy applique 3.9"x3.9"
x-small spirograph daisy applique 3.6"x3.6"
black t-shirt features the spirograph daisy in the small gray flowers. 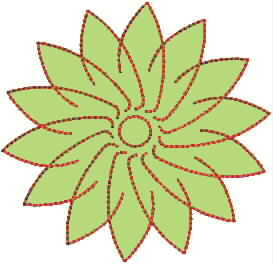 The middle flower is not included in this pack.